Begin course and follow navigation instructions. Course can be taken via audio (Articulate) or pdf download. A pdf copy is available to all participants. This course provides a comprehensive explanation of all possible hazards that can be present when utilizing laser technologies. All laser classifications and administrative and regulatory information will be discussed in depth. Apply a basic knowledge of laser science to clinical practice. 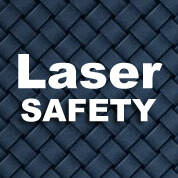 Recognize potential laser associated hazards in the work place. Develop proper safety dynamics for the dental office (SOPS - Standard Operating Procedures). Recognize the importance of the LSO (Laser Safety Officer). Summarize the ANSI and OSHA requirements for Laser use in the office. 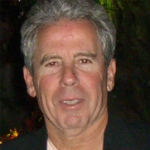 Robert Levine, DDS is a graduate of New York University. He completed a two-year residency at the VA Hospital in Brooklyn, NY and remained as a consultant for many years while also working in private practice. Dr. Levine has worked with lasers since 2003 and is the co-developer of the first University laser curriculum for a U.S. dental school. Dr. Levine is an Assistant Professor of Clinical Dentistry, Director of Laser Dentistry, and past Clinical Director of the AEGD prgram at Arizona School of Dentistry & Oral Health. He has published numerous peer-reviewed articles on laser applications in dentistry. Dr. Levine is Owner and President of Global Laser Oral Health, LLC (GLOH) and Levine Consulting LLC. Dr. Levine provides independent consulting services to various laser companies. Disclaimer: Participants must always be aware of the hazards of using limited knowledge when integrating new techniques or procedures into their practice. Only sound evidence-based dentistry should be used in patient therapies. Note: Registration is necessary prior to selecting course. Refund will not be given for courses in progress. If the program cannot be completed due to website failure a reimbursement through GLOH and authorized.net will be provided in 7-10 days upon notification. Please contact Fern Ariemma (VP of Finance) at Gloheducation.com. Phone 855-242-4564. ADA CERP is a service of the American Dental Association to assist in identifying quality providers of continuing dental education. ADA CERP does not approve or endorse individual courses or instructors, nor does it imply acceptance of credit hours by boards of dentistry. This continuing education activity has been planned and implemented in accordance with the standards of the ADA Continuing Education Recognition Program (ADA CERP) through joint efforts between A. T. Still University Arizona School of Dentistry & Oral Health and GLOH Education. A. T. Still University Arizona School of Dentistry & Oral Health designates this activity for 2 continuing education credits. After course and exam are completed,survey must be completed to receive CE certificate.